Work continues at 1300 Post Road on the new downtown Post Office facilities, but not date has been set yet for the opening. The original Post Office buiding, at 1262 Post Road, remains open until then. 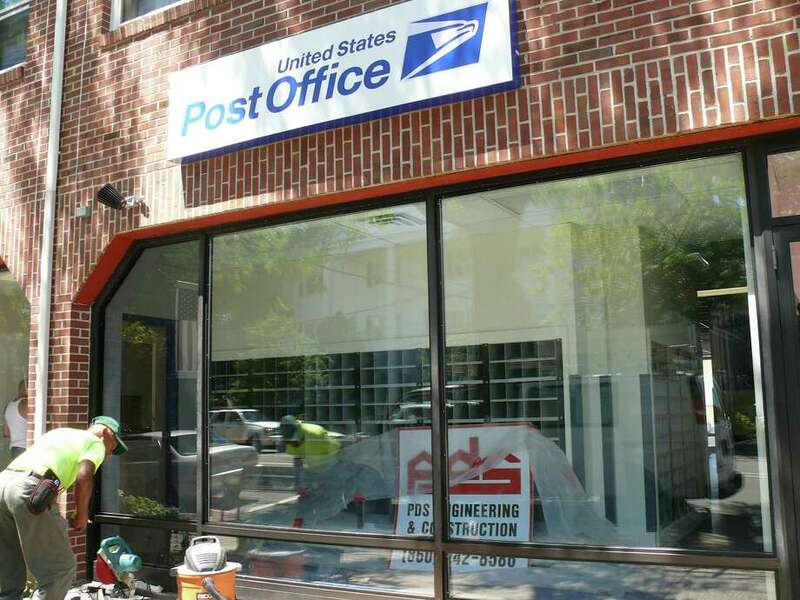 Renovations are proceeding on a new, smaller U.S. Post Office in downtown Fairfield, but postal officials are not ready to mail out change-of-address cards just yet. Christine Dugas, a spokeswoman for the U.S. Postal Service, said Monday that they do not have a firm date for when the Postal Service will move from its longtime home at 1262 Post Road into a storefront next door at the Gateway building, 1300 Post Road. The main Fairfield Post Office property has been sold to 1261 Post Road LLC, an affiliate of Westport Capital Partners, for $4.3 million. The new owners plan to develop the brick structure into retail shops. USPS officials said postal customers will retain the same post office box numbers when the switch is made to the new quarters. The move is expected to take place on or about Sept. 1. The current Fairfield Post Office is a one-story brick building constructed in 1935 and, among its features, is a New Deal-era mural from 1938, "Tempora Mutanur et Nos Mutamur in Illis." Dugas said officials are still looking for a home for the mural. "There are some criteria that must be met," she said, adding they are looking for another Postal Service location, though it could be loaned to a property owner for display. "No one has offered to house it yet," she said. According to the quit-claim deed on the property's sale, if the Postal Service does not remove the mural, the new owners must "ensure the preservation and appropriate treatment" of the artwork.